Our Premium Rubber Cove Base product offers an easy to install and maintain wall base solution and will aid in a well-crafted and finished end project. Our thick gauge wall base covers most wall imperfections and is flexible and durable. Tough scuff-resistant surface while maintaining overall flexibility and ease of installation. Manufactured using 100% Virgin material. Rubber cove base offers protection to wall base. Advanced co-extrusion technology allows for tough scuff-resistant surface while maintaining overall flexibility and ease of installation. Unique "V-Groove" glue lines provides greater surface area on back of base for vastly improved contact area. Top Return ensures close fit to wall. Vinyl rubber cove base offers protection to wall base. Advanced co-extrusion technology allows for tough scuff-resistant surface while maintaining overall flexibility and ease of installation. Unique "V-Groove" glue lines provides greater surface area on back of base for vastly improved contact area. Top Return ensures close fit to wall. Made with durable high resin Vinyl compounds. 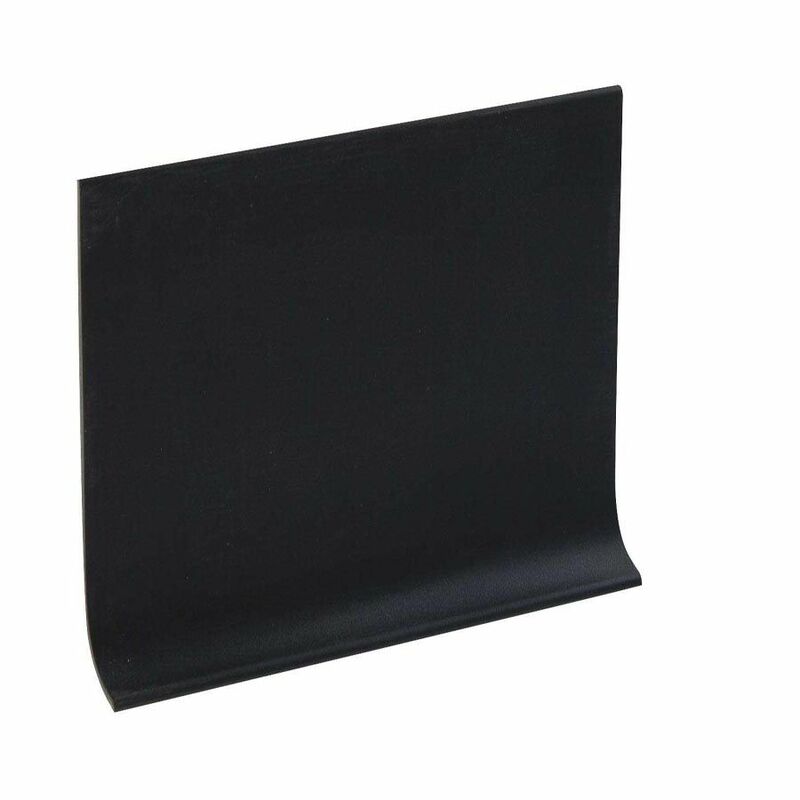 4 Inch Rubber Wall Base - 100 Feet - Black Our Premium Rubber Cove Base product offers an easy to install and maintain wall base solution and will aid in a well-crafted and finished end project. Our thick gauge wall base covers most wall imperfections and is flexible and durable.